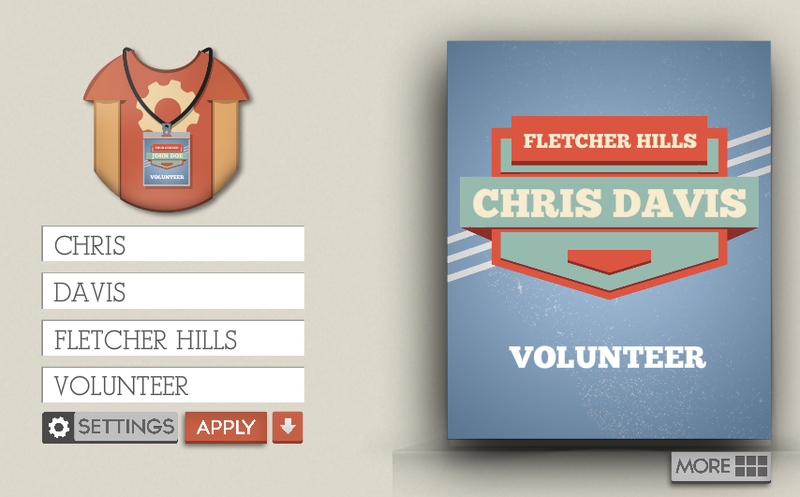 Have you ever needed to make name tags or badges for an activity, event, meeting or trip in your ministry? There’s a great new app for your PC or Mac that makes it easy, plus the badges look amazing. 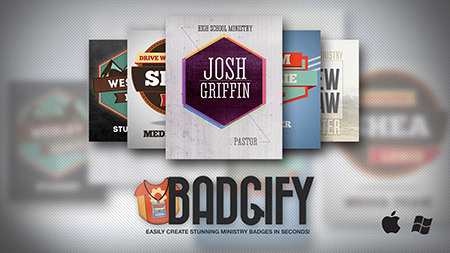 It’s called Badgify, and it’s available at Download Youth Ministry. Have a new volunteer? No problem! Just enter their name and BAM! You have a new, printable badge for them to wear! Making the process quick and painless is our primary goal. In fact, we designed it to be so easy, a volunteer with absolutely no graphic design experience, can knock out badges for an event with no effort whatsoever. You’ll be able to create a badge for any occasion in less than 10 seconds. Once your badge is created, it will save to your computer as a JPG that you can print on any printer. No need for any training or graphic experience. Just a few clicks and you’re done! Tired of boring badges? Want something more than a white square with a name (we’ve been to too many boring badge conferences)? Our badges have been designed with “Oh that looks really cool” in mind. Choose from six unique designs and easily swap between them without having to retype your info. You can see the options are very simple and straight forward. You have fields for First Name, Last Name, Church, and Position, but if there’s one you might not wish you use you can turn any of them on or off for the badge you are working on. Once you have everything typed in, the app creates a PDF for printing. There are currently 6 styles of tags to choose from, but the developer says more are on the way. Right now you can pick up Badgify for only $12. I’m not sure how long that price will last, so I would act fast. To learn more or to BUY, visit Download Youth Ministry.